Fabian Campos is a Practitioner Consultant for Leath Group, LLC—a dynamic curriculum development and intellectual property greenhouse that grows leaders and shapes cultures. Fabian also serves as Director of Operations for Redan Bilingual Media, the largest bilingual media company in one of the nation’s top five bilingual cities. Fabian is an experienced customer service and account management executive with deep and wide familiarity and expertise of the Hispanic community. 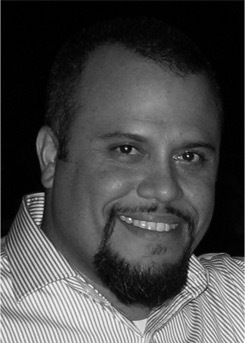 Since 2001, Fabian has worked closely with companies including Time Warner Cable, Firestone, the Texas Rangers, the Dallas Cowboys, Saturn, Holiday Inn Select, Bank One, Tyson Foods, Comcast, Cinemark, Donruss, and Univision on their Hispanic market initiatives—from curriculum development, training, and sales to customer service and organizational strategy. As a Practitioner Consultant, he conducts new leader assimilations and workshops and provides interpretation services for Spanish/English speakers. His background as son of Mexican and Cuban immigrants helps drive his passion to help organizations connect and communicate with the Hispanic market in authentic, purposeful, sustainable ways. In September, Fabian was honored as the Top Print Media Professional of the Year by Portada at the Third Annual Hispanic Digital and Print Media Conference in New York City. Professionally, but also personally, Fabian has dedicated himself as a mentor to the next generation of creators and leaders. Following a personal experience in high school with a mentor who challenged him, Fabian has now spent the last 20 years investing time with others—challenging them to work hard, live passionately, and pursue both higher education and their wildest dreams. Recreationally, Fabian is a gnarly boarder who thrashes at local skateparks and heads north to snowboard as often as possible. Fabian lives in Corinth, TX, with his wife, Becky, daughter, Eva, and son, Simon.